On the occasion of his 80th birthday, family, friends, comrades, and journalists remembered the life and works of a great journalist and revolutionary martyr, Antonio Zumel. Death may have stopped Antumel from continuing with his work in the service of the Filipino people, but his life continues to inspire. Tony Zumel or Antumel or manong was described as a “damn good writer” who rose from the ranks of copy messenger, to proof reader to reporter, then as broadsheet editor and president of the pre-Martial Law National Press Club, which was then the biggest organization of journalists. The late dictator Ferdinand Marcos had been alarmed at the progressive leanings and critical positions of the NPC under Antonio Zumel. 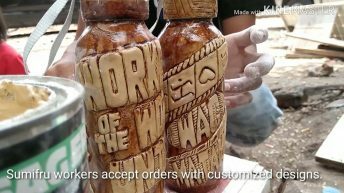 Antonio Zumel surprised his contemporaries when he joined the underground armed revolutionary movement during the dictatorship of strongman Ferdinand Marcos. He brought with him his 18 years of experience in mainstream journalism when he went underground as a revolutionary, where one of his tasks had been as editor and writer for two underground press outlets then: the Balita ng Malayang Pilipinas and the Liberation. 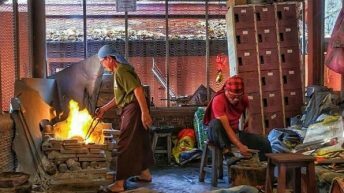 His contemporaries said they rarely saw him at the time as he spent the next best years of his life with the National Democratic Front of the Philippines (NDFP). 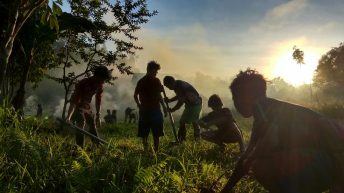 “The community journalists used to be regarded in the industry as second-class journalists,” said Satur Ocampo, chairman of Zumel Center’s board of directors. Yet, it is within this rank of journalists where many victims of media killings come from, he said. 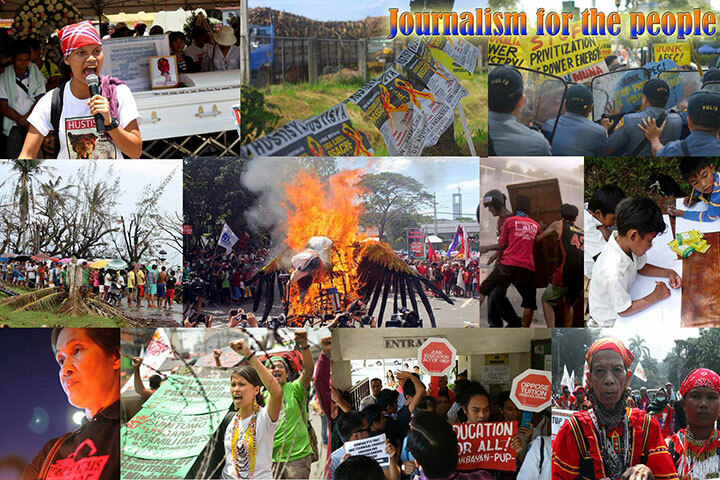 Satur Ocampo shared the objectives of the Antonio Zumel Center for Press Freedom, unveiling in particular its 2013 Lecture Series for Young Journalists. One of the five objectives, which the Zumel Center for Press Freedom has set for itself, is to have a resource center for journalists, writers and researchers, largely for what’s called as an alternative press, Ocampo said before Zumel’s gathered family and supporters. But given the center’s board preoccupied with other concerns, the Zumel Center for Press Freedom has not yet taken off with its other defined objectives, Ocampo admitted. 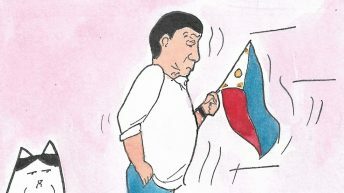 He himself was a three-termer Bayan Muna Partylist representative with periods of being hunted like a fugitive under Oplan Bantay-Laya of the administration of former president Gloria Macapagal-Arroyo. Lack of opportunity to work on the “endowment” of the center has hindered it the most, Ocampo added, recalling an instance when they had planned to give recognition and awards to community journalists but it fell through because of lack of resources. 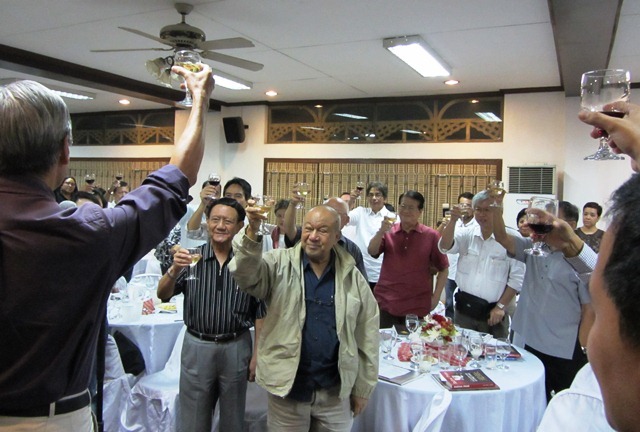 When it was the turn of House Speaker Feliciano ‘Sonny’ Belmonte to speak, he shared his reminisces of the time that he and Zumel were young reporters and were pounding the police beat. Belmonte was then working for the Manila Chronicle and Zumel for the Philippine Herald. He joked that he felt alluded to when Ocampo talked about the lack of resources of the center but in seriousness, he promised to contribute to and help access financial and logistical resources for the center. 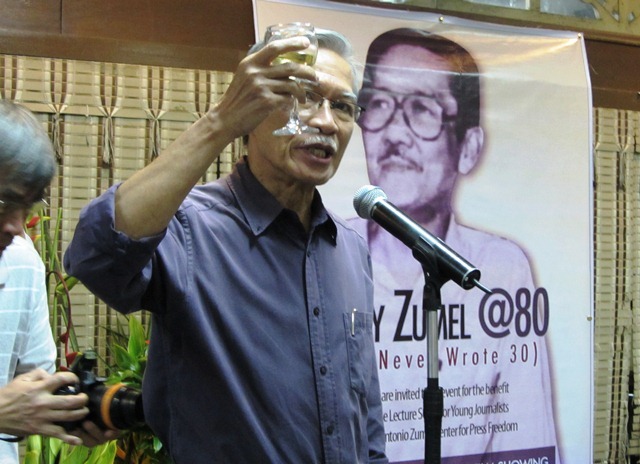 “Thinking of Antonio Zumel, his love for journalism, his commitment to the peoples’ interests, his wish and dream for a just society to be realized through the peoples’ movements themselves,” Ocampo said, all these have variously prodded the diverse groups of people to toast Tony Zumel @ 80. “He never wrote 30, and he never will,” his eldest sister Maria Luisa Zumel-Lopez said, “as long as the center exists. She said she hoped the Zumel Center for Press Freedom will help to form more journalists. Tony Zumel @ 80 featured also the recollection of Zumel by his contemporaries, family, comrades and even those from the younger generation who had come to know of him largely from his reputation and writings. Aside from House Speaker Sonny Belmonte, Manuel Almario of Movement for Truth and History, writers Max Edralin and Jose Lacaba, who had all worked with Zumel at various points in their lives, younger writers such as Ina Alleco Silverio, author of Ka Bel (Crispin Beltran) biography and writer at Bulatlat.com, also spoke about Zumel. 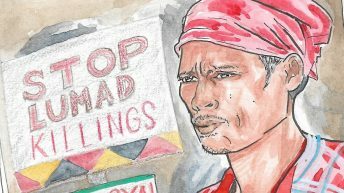 (See Ina Alleco’s “What Manong means to us”). 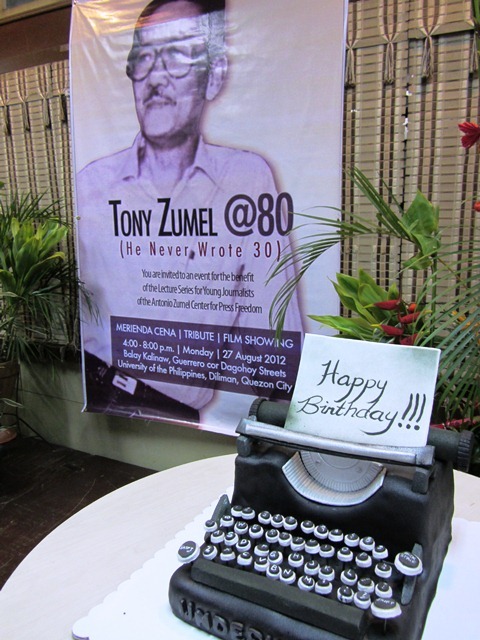 Tony Zumel @ 80 also was made more special by the rendition of songs by Cocoy Laurel, who sang Zumel’s favorites, “The Impossible Dream,” translated into Filipino by National Artist Bienvenido Lumbera, “La Vie En Rose,” translated by Jose Lacaba, and another Filipino song, due to insistent audience demand. Rica Nepomuceno, soprano and professor of the UP College of Music, rendered two songs, “Kalayaan” and “The Forest is Still Enchanted,” which was based on a poem by Prof. Jose Maria Sison, accompanied on guitar by Renato Reyes, Bayan secretary general. The program of Tony Zumel @ 80 recollected the life and times of Tony Zumel chronologically and roughly in the order of how long each speaker had known or shared his lifework. 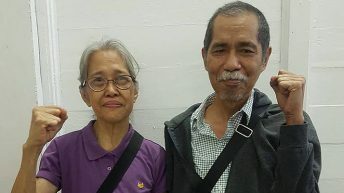 As such, the last ones to speak their recollection of him were Zumel’s last ‘co-workers,’ so to speak, the NDFP’s Coni Ledesma and Luis Jalandoni, and his wife, Ruth Zumel.